Don’t get hooked: I encourage seniors and caregivers to sign up now for a special forum I’m hosting Nov. 1 on how to fend off financial scammers and other crooks. The free, two-hour gathering will start at 9 a.m. at Skyline Church, 11330 Campo Road, La Mesa. Deputy District Attorney Paul Greenwood and other experts will offer tips on how to avoid becoming a victim of the “grandmother scam,” “IRS scam” and other common ruses targeting older residents. To register, call 844-899-1597 or go to surveymonkey.com/r/dontgethooked. Barks and recreation: The Board of Supervisors recently approved an updated park development plan that includes $13 million in general fund money, along with other funds, for park improvements in many East County communities, including Campo, Descanso, Jamul and Julian. Also in the works are new dog parks in Lakeside, Rancho San Diego and Spring Valley. Be careful out there: The most hazardous time of the year is here. Are you prepared for the fall wildfire season? For more on all these, and for additional help, go to readysandiego.org. 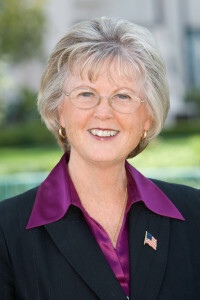 —Dianne Jacobs is San Diego County Supervisor for District 2. For more District 2 news, go to diannejacob.com or follow her on Facebook and Twitter. For assistance with a county issue, call 619-531-5522 or email dianne.jacob@sdcounty.ca.gov.